This site is not currently running on solar power on the Raspberry Pi as I am in the process of moving house. I will update these pages after I have rebuilt the solar project at the new house. When deciding on what hardware to use for a solar powered web server the most important aspect would have to be power consumption, especially for the short, dull winter days. 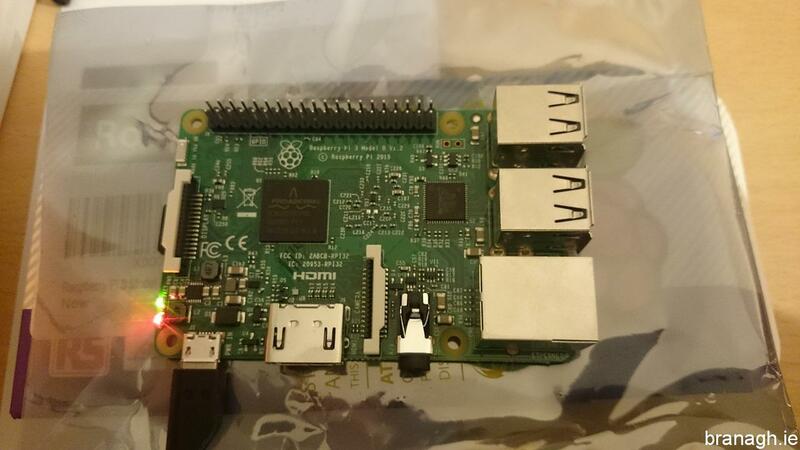 The benefits of using a Raspberry Pi go far beyond just the low power consumption. The reasonable processing power at a low cost also makes the Raspberry Pi very attractive for such a project. 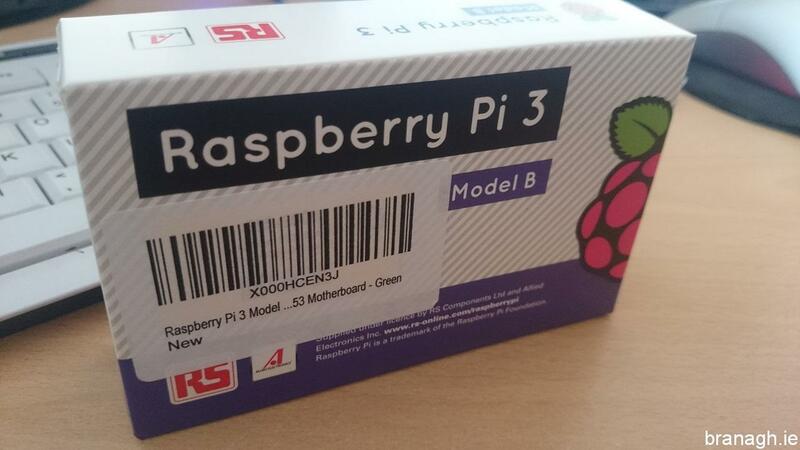 I initially had an original Pi but later upgraded to the Pi 2 Model B and then upgraded again to the Pi 3 shown above. As the Pi is physically located in the garden shed I use a pair of old Netgear Prosafe access points as a wireless bridge. This proved to be more reliable than using wireless directly on the Pi. I picked Netgear because I knew they run on 12 volts so I could power directly from the solar system without needing to convert the voltage. Initially I resolved branagh.ie directly to one of my public IP’s at my house. Later I decided to make use of a hosted server I rent to display an automatic maintenance page in the event of any issues with my internet connection or the Raspberry Pi webserver. Details in the diagram below.